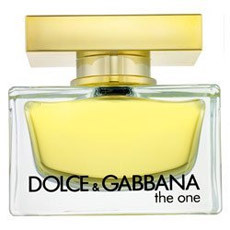 Dolce & Gabbana The One is one of those familiar fruity floral fragrances that tends to be smelled everywhere. It doesn’t help that it’s rather popular, relatively affordable, and is highly benign either. In fact, it’s so benign that I would really rather people wore this than Light Blue. In Bottle: Lychee and peach are the first things I smell along with a bit of mandarin in the top. It’s a classic feminine fruity floral that’s marked right away by that lychee note that seems rather popular in these sorts of formulations. Applied: The One gets its genre very right from the get go. After the initial sweet mandarin, you’re treated to a fairly standard mix of lychee that tells you right away you’re in fruity floral territory. But The One takes that message one step closer by introducing another favorite of the fruity floral genre; peach. This is a lovely, sweet, lychee and peach opener. It’s not interesting or unique but it’s not trying to lie to you about what it is either. The top notes are a nice introduction to the mid-stage where jasmine and lily head up to the forefront dragging a pleasant sweet plummy scent with them. The mid-stage is one of those sweet floral type deals that remind me of shampoo. As the end stage approaches, I get a slight warming of the fragrance followed by a creamy vanilla note. You’ll note one major predominant theme with this fragrance is its sweetness. There’s a lot of sugar present here but it’s not as oppressive as other sugar-based scents like Miss Dior Cherie or DKNY Delicious Night. This stuff is sweet for sure, but it doesn’t reach critical levels of sweetness. Extra: Say what you will about Dolce & Gabbana’s fashion, but they do know how to do wearable, easy fragrances. Light Blue for women is one of their most popular offerings and a fragrance I tend to smell almost everywhere and on everyone. Which may have contributed to my desire to smell something else instead. Design: Very nice bottle. Familiar with many classic fragrance bottles. Most immediate estimate would be Chanel No.5, but The One pulls off its look rather well too. it’s a squat rectangular thing, with an inner vessel that isn’t as well sculpted as a Chanel No.5 bottle, still, the shape is pleasing, the weight is fairly decent, and the hold and feel is comfortable. Not my favorite thing in the world, and certainly not the most interesting thing in the world. The closest fragrance I can think of at the moment as an alternative to this one is Gucci’s Flora. A similarly sweet floral. Though I do prefer Flora over this simply because Flora prefers to lean more on a clean concept than a fruity one. Still, The One is an excellent, non-offensive, easy to wear fragrance. You won’t be disappointed if you need something good and easy to wear with this one. Reviewed in This Post: The One, 2009, Eau de Parfum. This entry was posted in dolce and gabbana, floral, fruity, Reviews By House and tagged amber, bergamot, jasmine, lily of the valley, litchi, mandarin, musk, peach, plum, vanilla, vetiver root, white lily. Bookmark the permalink.